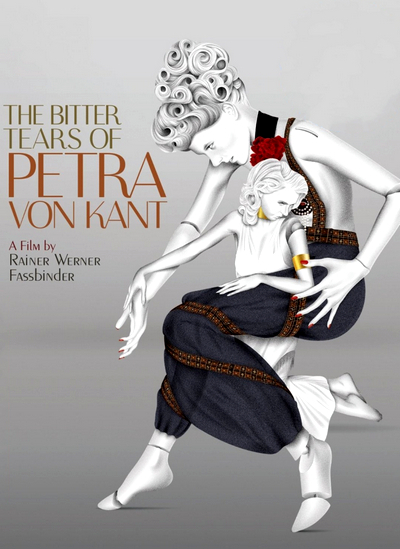 Based on Fassbinder's original play, The Bitter Tears of Petra von Kant is a work of astonishing visual design, with emotions on an operatic scale, which explores the tortured connections between desire and power. It unfolds in five scenes, each of which progresses in continuous time, the story of Petra von Kant (Margit Carstensen), a successful but arrogant fashion designer in her mid-30s who falls passionately in love with Karin (Hanna Schygulla), a beautiful, cunning young woman who wants a career in modeling. Watching over everything, but never uttering a single word, is the enigmatic Marlene (Irm Hermann), the slavish secretary, maid, and co-designer, whom Petra takes every opportunity to humiliate. After Petra and Karin seal their newfound relationship with a torrid kiss, the film jumps ahead six months to show us their breakup (Karin goes back to her husband) and, for Petra, its devastating aftermath. We meet Petra's daughter Gaby (Eva Mattes) and mother (Gisela Fackeldey), again see her catty friend Sidonie (Katrin Schaake), and discover the new direction of her relationship with Marlene. Although this remains one of Fassbinder's most controversial films – in part for its severely limited depiction of lesbian (more accurately, bisexual women's) lives – it is also one of his most powerful, for both its volcanic emotional force and the unparalleled visual imagination it displays. The blind insanity of war can be summed up in 'Paths of Glory' by one statement made by Kirk Douglas: "Patriotism is the last refuge of a scoundrel". The result of extreme patriotism leads to the execution of three innocent men in the French army in 1916 during World War I. 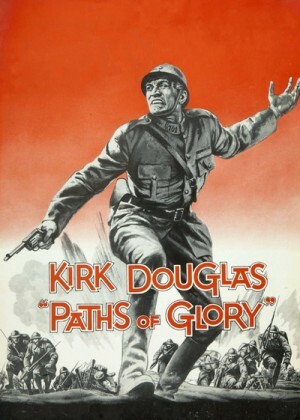 A lawyer in civilian life, Colonel Dax (Kirk Douglas) accepts orders to take an enemy position called The Anthill. The utterly unprincipled General Broulard (Adolphe Menjou) orders the incompetent, arrogant General Mireau (George Macready) to take The Anthill at all costs. The attack fails, after many of Colonel Dax's men are killed in a pointless frontal assault. Seeing that some soldiers never left the trenches, Mireau directs his own artillery to fire on them, but his orders are refused. To save face and "teach his men a lesson", the petulant Mireau demands that executions be carried out. The number of men to be shot is narrowed to just three, to be chosen by the trench officers. One victim is selected by lot and another is singled out because he's unpopular. The third has witnessed cowardice of his commander. Colonel Dax defends the three in the court-martial, despite the fact that the outcome is a foregone conclusion. General Mireau has equated his personal pride with the honor of the army. General Broulard sees the entire issue in political terms, and coldly assumes that Dax's spirited defense is a maneuver for personal advancement. But Broulard also lays a trap for Mireau ... as Dax has documented the General's attempt to fire on his own troops. Since 2005, Edition Filmmuseum has been picking up on smaller, lesser known vintage films that might perhaps get passed on by Criterion for their Eclipse series. Their library contains not only silents, documentaries and short film collections, but sets devoted to contemporary filmmakers as well. Like Criterion, their offerings are as nicely presented as possible with clean prints, good scores, multiple subtitle options and booklets containing informative essays on each film. For Edition Filmmuseum's 77th release, they turn their attention towards the German director Gerhard Lamprecht (1897-1974) with a two-disc set that spotlights a pair of trenchant silent-era message dramas which he also co-scripted. 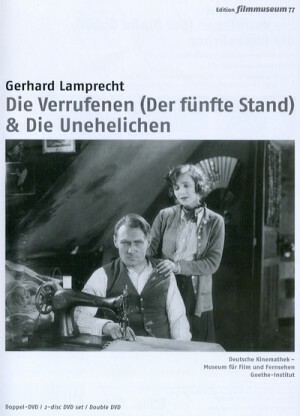 In Die Verrufenen (1925) the engineer Robert Kramer, released from prison, cannot find his way back to civilian life. He wants to end his life, but is held back by the streetwalker Emma. In Die Unehelichen (1926) three working-class children suffer under their violent foster parents, till a dramatic incident changes their lives. The film is set at a vacation home on the Isles of Scilly. 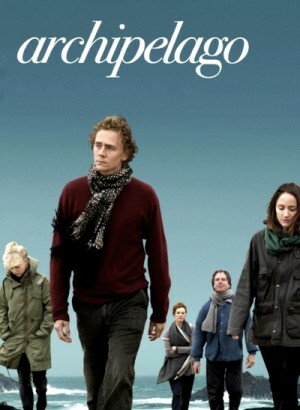 Patricia, the mother played by Kate Fahy, and her children Edward (Tom Hiddleston) and Cynthia (Lydie Leonard) are taking a two week family vacation together before Edward leaves to volunteer in Africa for a year. Their father is supposed to join them but he is delayed. There are two other people in the film that interact with the family regularly. There is a cook/house maid named Rose who stays with the family in the house and Christopher an artists, art teacher, and family friend. The family is together for two weeks and the small dramas play out every day with Christopher and Rose as witnesses. 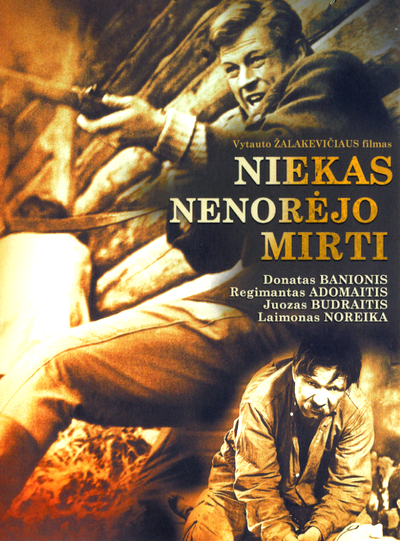 The film is set in Lithuania after the Second World War. It shows dramatic events in a small Lithuanian farming community, where people are split between the soviet supporters and the "brothers in the woods" - armed bands of Lithuanian nationalists. Pantelis Voulgaris' epic is set during the "stone years" of recent Greek history (1954-1974) when membership of the Communist Party was illegal, and repressive governments punished members with imprisonment. 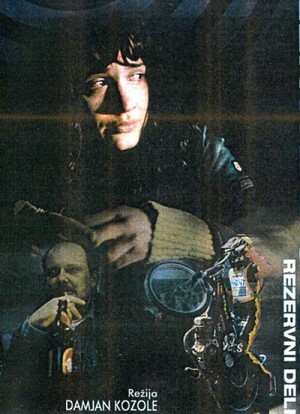 "Petrina Hronia" consolidated the position of Pantelis Voulgaris in Greece as the most prominent filmmaker after Theo Angelopoulos. This film is also famous for its soundtrack composed by Stamatis Spanoudakis. Historical documentary concerning the life and activity of the great Greek politician, who contributed decisively to the formation of modern Greece’s character. Venizelos arrived in Athens in 1909, after the Goudi Movement, at the invitation of the Military League and, after becoming prime ministry, had a conflict with the Palace. 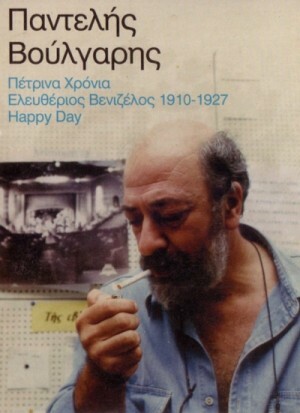 The film is following the steps of the man through various documents (cinematic newsreel, pictures and newspapers) - from his starting point in Mournies in Crete, to his death. Brazil is sometimes called the motherland of soccer. 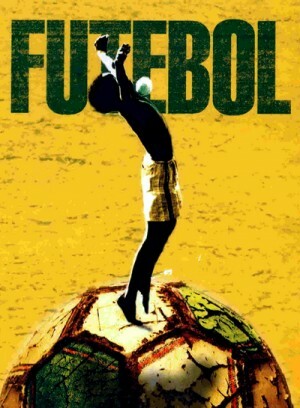 In the documentary series "Futebol", the makers try to find out why this game so deeply titillates an entire nation. Brazil is a country with a gigantic minority complex, says one of the former soccer players. The country has everything to be rich, but still it remains poor. The only thing that makes Brazil country in the world is soccer. And that is the reason why the soccer game means so much to the Brazilians. When their favourite team loses, the supporters feel it as a personal humiliation; if the team wins, the players are put on a pedestal. In three distinct parts, "Futebol" captures beautifully the obsession that Brazil has with the beautiful game. A moving portrait of a woman's life, Oskar Roehler's evocative film is like a dark, serious version of It's a Wonderful Life. The aging novelist Hanna Flanders (Elsner) loses her place in the world when the Berlin Wall is dismantled in 1989. Her books are not getting published anymore due to her radical political views, and her old world glamour sits at odds with the gritty realities of post-communist Germany. So she reverts to her past, packing up her Munich apartment and moving to Berlin to be with her old boyfriend (Gwisdek). But he has a new life as well, so now she's homeless, wandering in the bleak Soviet landscape, relying on the comfort of strangers and eventually revisiting her parents and her ex-husband (Glowna) in an effort to make sense of her life. 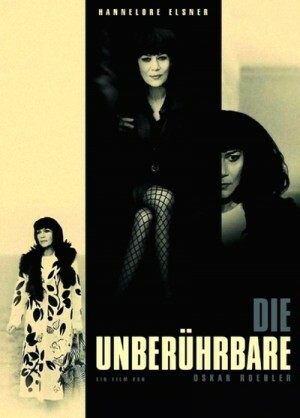 The spirit of RW Fassbinder presides over this intense, personal drama. Roehler based the story of Hanna Flanders on the life and death of his mother, Gisela Elsner, a well-known German writer. 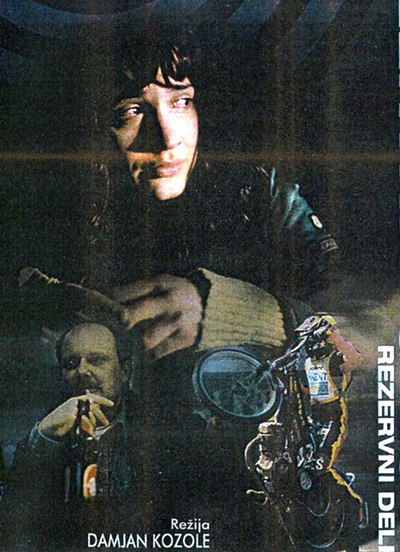 Former motorbike racer Ludvik spends his evenings smuggling illegal refugees from Croatia, across Slovenia and into Italy. When he takes on Rudi, a naive newcomer and former fan from his racing days, the transportation of refugees begins to grow a bit more complicated as moral questions are raised in the treatment of the human cargo. Some people don’t survive the trip, some of Ludvik’s associates take advantage of the women and danger lurks at every turn as Ludvik informs his protegee that some of the immigrants smuggled into Italy end up drugged, killed and then mined as "spare parts" for medical usage. Inspired by true events, Halam Geldi tells the grim story of three 13-year old ‘child brides’- girls sent away from home to marry older men and/or sometimes relatives. In the film, "My Aunt Came" refers to a code, used specifically in Anatolia to symbolize the arrival of a young girl’s first menstrual period. Unfortunately, instead of a new, natural phase in a young woman’s life, this is also recognized as a harbinger of doom; To begin her period signifies that a girl is fertile, which suggests she is of an age permissible for marriage. The film's characters Reyhan and Huriye, who live in a border village in the Turkish Republic of Northern Cyprus, are more than just characters, as they represent myriad victims in real life across Turkey and the world.